Buying the perfect present is tough! The grand jubilee of matriarchal holidays is upon us! It is a time to give back and show appreciation to the women that raised and cared for us. For the past century and change, the second Sunday of May has become a time-honored tradition where we buy presents and show affection for the ladies we love. There’s often a tough question that comes through in this lovely family-focused holiday: what do I get that special lady in my life? Be it your Mom, Grandmother, or any other strong female role models: how do you make sure to get a Mother’s Day gift she’ll love? If you have the time, skills, and resources, you can hand-make a token of your love and appreciation. But what if you intend to buy them a present? It’s can be hard to express how much someone means to you with a gift. You must find that perfect balance of symbolism, utility, and elegance. Plus, their taste may be vastly different from your own. So what do you get them? If only there was a fashionable piece of jewelry at a reasonable price point. Something flashy yet fashionable, elegant yet affordably, and trendy yet timeless…wait a second! Of course!! The Wrap Ring is the perfect Mother’s Day gift. Featuring two genuine Swarovski® Zirconia stones on every ring, connected by a pure 925 Sterling Silver chain, the Wrap Ring is a classy gift for classy gals. And that's not even to mention it's affordable price. Our Royal Collection, named after some of the most famous leading ladies throughout time, presents over 50 different variations to choose from. Whatever her personality, from the hard-working woman to those enjoying retirement, whether she reads the paper or goes for jogs, the Wrap Ring is perfect for her. Why not get her the new hot jewelry trend on the block, before everyone else starts wearing it. 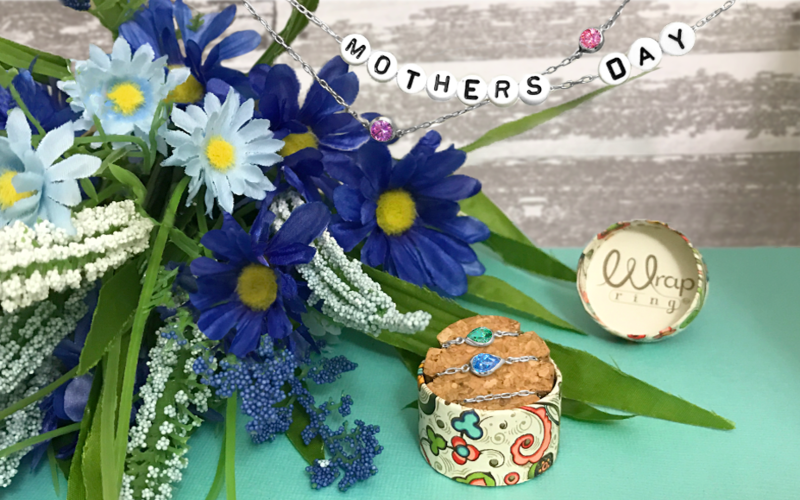 Whether you’re getting Isabella in her matching pears or the multi-shaped Anne, the Wrap Ring store is tailor-made to ensure your Mother’s Day shopping is as simple as possible. There are colors and shapes for every personality. If you’re having trouble deciding, just check out the traits and characteristics of our different rings for some hints! Each ring is paired with an illustrious description in their own page on the shop. Buying a gift for your wife for Mother’s Day? No sweat! What’s her favorite color and shape? If she likes pink and she likes diamonds, just head over to our store and look in the gold bar along the top for the diamond shape and the pink color selectors, and you’ll get every option we have that uses your preferred combination! There you have it, an elegant, affordable, versatile jewelry gift for your wife, mother, mother-in-law, or whoever else deserves it on this holiday. And not to worry if you’re buying last minute: the Wrap Ring will always arrive within one week from date of purchase! Peace, Love, and Happy Wrapping!